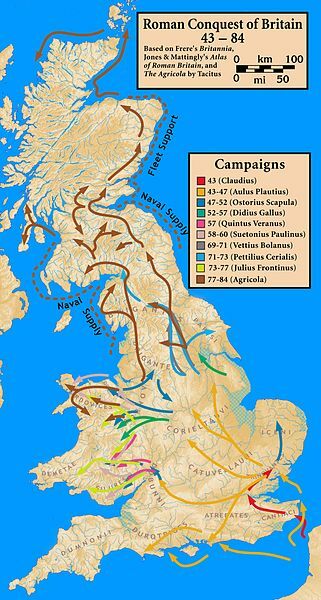 The Roman invasion of Britain was a determined military and political effort to project Roman power in the Northeastern Atlantic. Although Julius Caesar had visited Britain in 55BC (Before the birth of Christ) and reported that the soil was good, there was plenty of food and people that could be used as slaves, the Romans did not have a large enough army to invade and conquer Britain. It was AD (Anno Domini [after the birth of Christ]) 43 before the Romans, under the Emperor Claudius, were ready to conquer Britain. The Romans crossed the Channel from Boulogne and set up a base at Richborough in Kent. Different legions were sent to conquer different parts of Southern Britain. The 2nd legion set up their first base at Fishbourne, near Chichester in Sussex, then continued to Exeter where they set up their main base. The 20th legion, established their base at Colchester, the 14th legion at Leicester and the 9th at Longthorpe near Peterborough. Eleven British Kings surrendered to Claudius immediately while King Caratacus was easily defeated by the 20th legion and escaped to Wales. By AD 47 half the country had been conquered but some Kings, like Caratacus still resisted the Romans. Caratacus lost another battle to the Romans near the river Severn in AD 51 but escaped again and hid in the camp of the Brigantes tribe. However, the Queen of the Brigantes told the Romans that Caratacus was hiding with them. 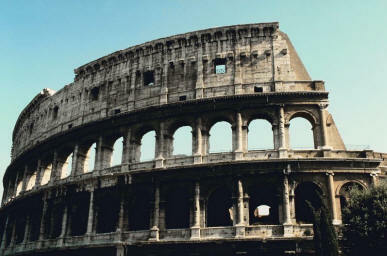 The Romans captured Caratacus and sent him to Rome as a slave. In AD 60, King Prastagus of the Iceni tribe, who had signed a peace treaty with the Romans, died. His wife, Boudicca, became Queen and intended to remain at peace with the Romans. However, the Romans said that all Prastagus’s land and possessions now belonged to them. They attacked the Iceni tribe, took their land and Prastagus’s two daughters. Boudicca was not happy and planned revenge on the Romans. Boudicca joined forces with the Trinovantes and together they raised an army to fight the Romans. Boudicca’s army captured and burned London, Colchester and St Albans. The Romans were forced to raise the largest army they had ever had to defeat Queen Boudicca. 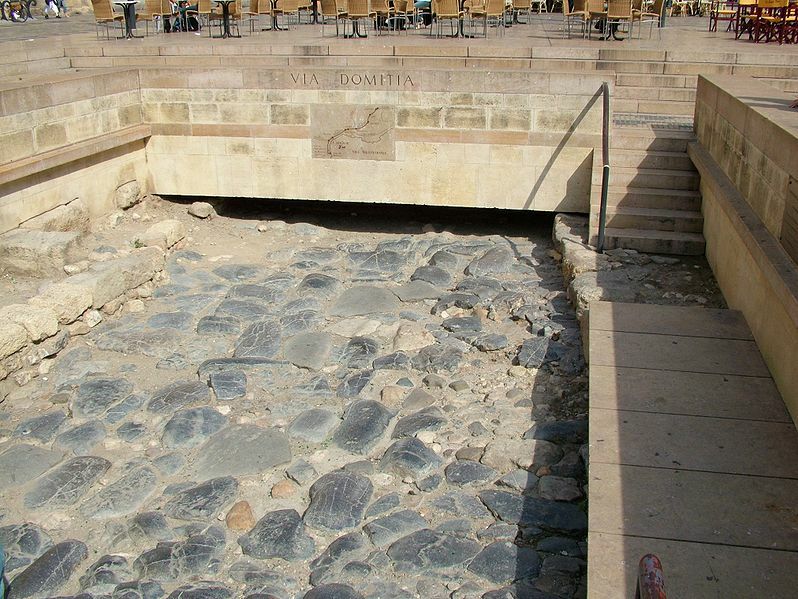 The Romans killed anyone who had fought them. Boudicca poisoned herself to prevent the Romans from capturing her.